Want to bring a little humor to the lanes? The Master "Excuse" Towel is the perfect towel! 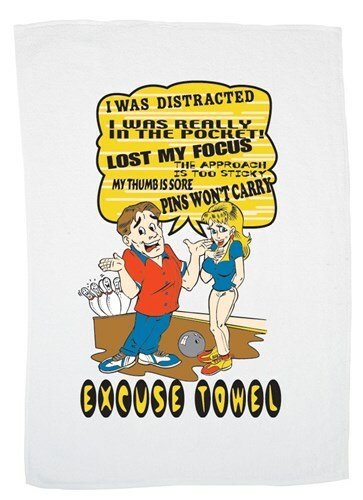 Full color printing with vibrant, amusing "excuses"
Due to the time it takes to produce the Master "Excuse" Towel ball it will ship in immediately. We cannot ship this ball outside the United States.